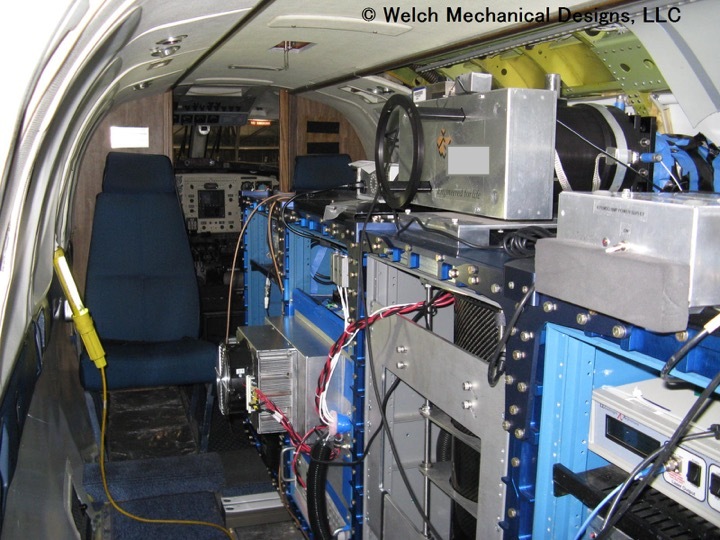 The Cloud Physics LiDAR (CPL) instrument was designed to fly in the Superpod on the NASA ER-2 high-altitude research aircraft. 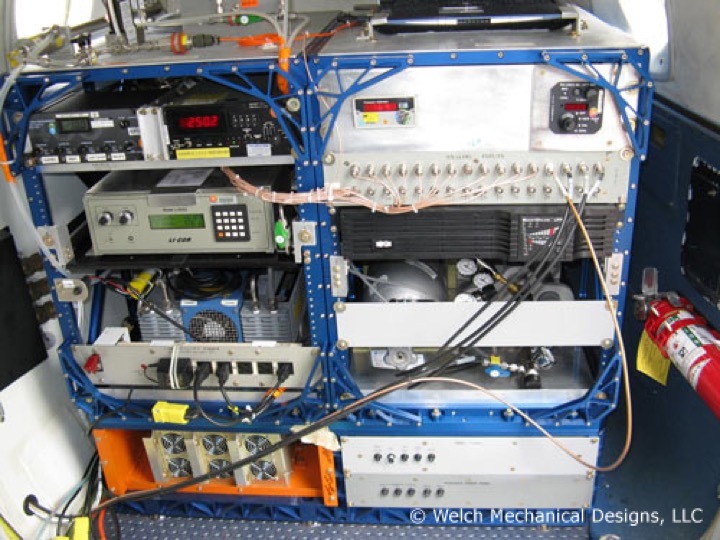 The instrument is shown in the renderings as a blue box (transceiver), two gray electronics boxes, and a gold-colored standard ER-2 frame made from aluminum angle brackets. For aircraft integration, the CPL instrument slides into the Superpod along the rails on the side of the frame. Previously, the approximately 200-lb (90.7-kg) instrument was lifted by three to four people and then slid onto the rails in the ER-2 Superpod. The cart height had to be adjustable. The side rails had to reach 54 inches (1.4 meters) from the ground to match the rail height in the Superpod. It had to drop as low as possible all other times for stability. The CPL instrument had to be completely supported by the cart until the Superpod could support it. A desired attribute of the cart was to hold the CPL so that the instrument could be pointed in various directions. In the Superpod, the instrument looked downward; therefore, the CPL had to be in this position on the cart prior to installation. However, it was desirable to be able to rotate the instrument to look upward or at various angles to allow testing while on the ground. All of the required and desired design elements were incorporated into the design shown in the renderings and photographs. 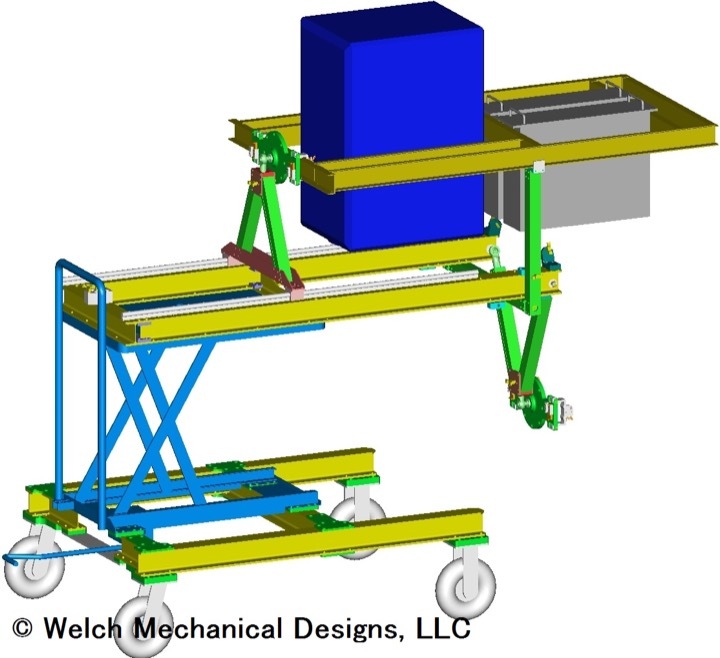 The first image shows the cart in its lowered position for transport. The second image shows the instrument rotated 135 degrees from its normal position to look up at the sky. 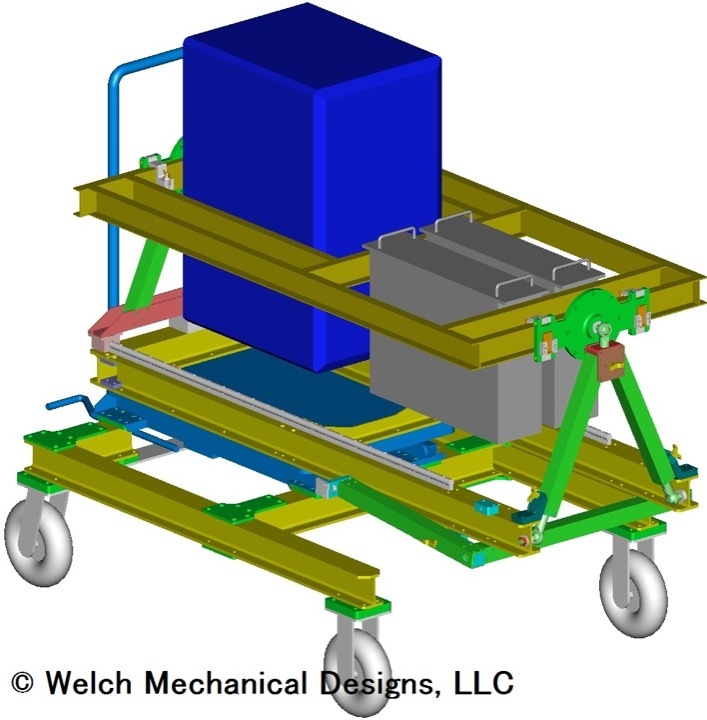 The third image shows the cart raised and with the instrument sliding off the cart into the Superpod. 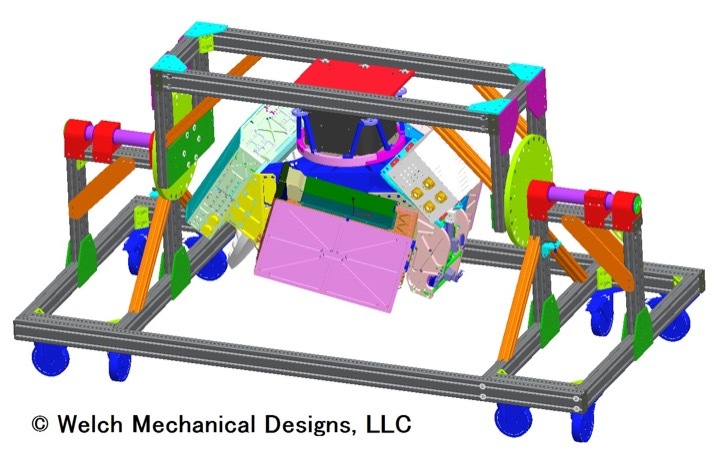 This project required integration of many commercial off-the-shelf parts and the design of many custom parts. Commercial parts were used as often as possible to reduce costs and speed delivery on this project. 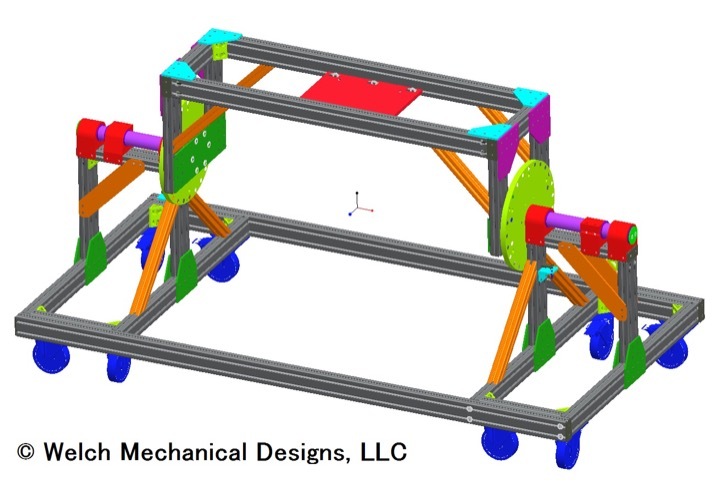 A challenging element of this project was modeling the cart in the mechanical design software so that the motion and performance of the mechanisms could be checked. This required forethought during the early phases of the design to create a computer model that was robust enough to allow many changes and modifications later without corrupting the model. The HiWRAP Cart is designed to support NASA's High Altitude Wind and Rain Profiling (HiWRAP) radar when not installed on the Global Hawk UAV aircraft. This assembly allows excellent access to all sides on the instrument for maintenance and adjustment, and provides a means of easily transporting the 300-lb (136.1-kg) instrument to the lab. HiWRAP is installed on the Global Hawk facing downward, therefore it was desirable for the cart to have the ability to rotate the instrument to any angle to further increase access and provide for upward facing testing from the ground. 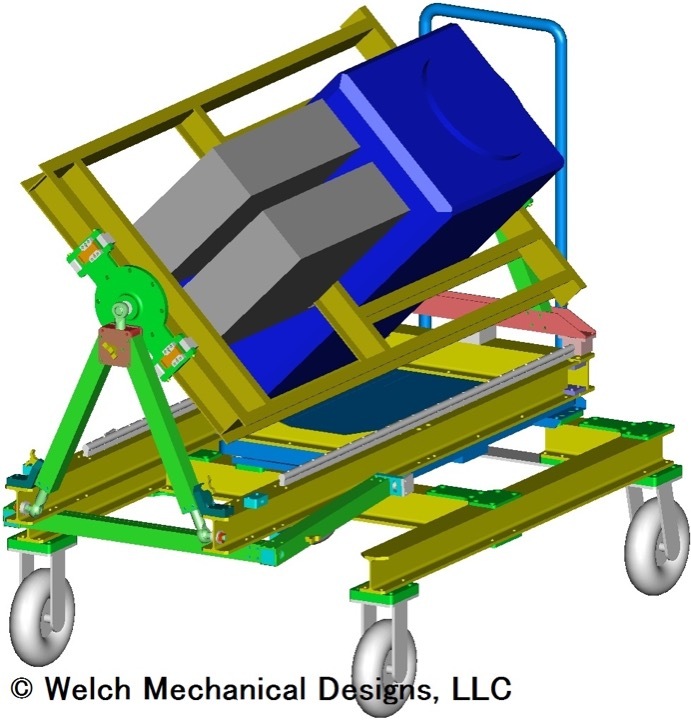 Our cart design provides 360 degrees of rotation that can be locked into place in 15 degree increments. 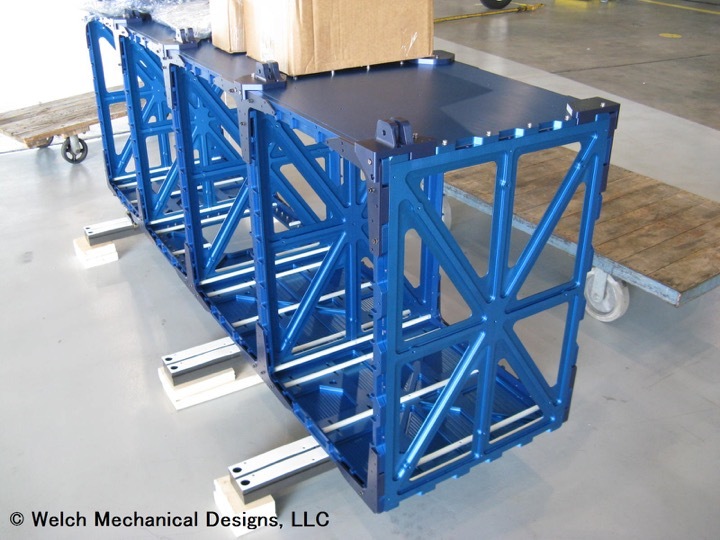 The HiWRAP Cart is built of many commercial off-the-shelf parts and custom designed WMD parts. We used off-the-shelf parts as much as possible to reduce cost and speed delivery. 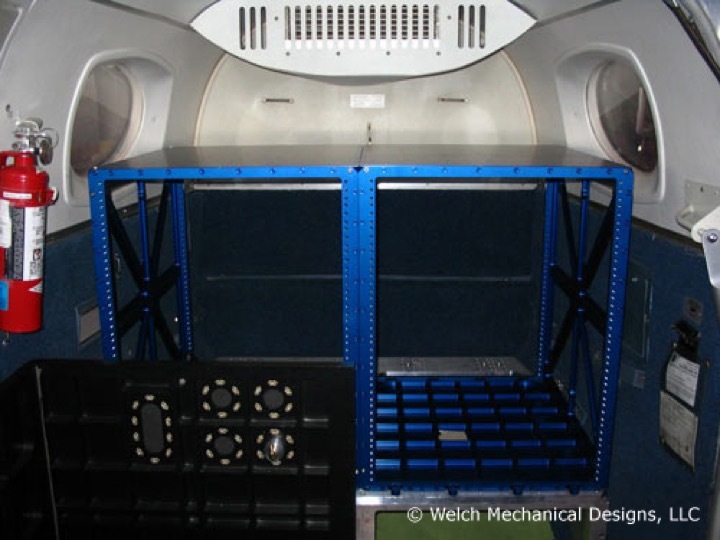 Pictured is our King Air rear cargo riser plate and Rugged Electronics Racks. Our Rugged Electronics Racks are available as a standalone product. 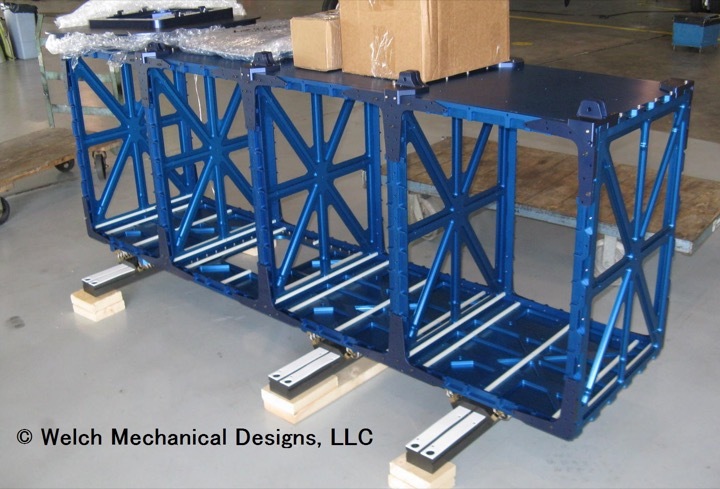 Services: Design, Manufacture, Aircraft analysis, and FAA certification. Pictured is our custom designed and manufactured King Air 4-bay electronics rack with shock isolation.